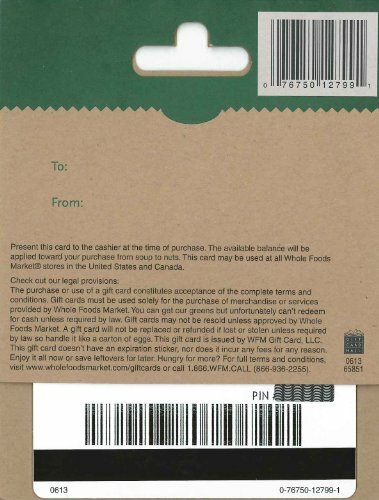 Give the perfect gift with a Whole Foods Market gift card, and grant a basket full of wishes with a single swipe. Everyone needs to buy groceries and if you know someone that loves Whole Foods you know that they will relish the thought of a few extra items in their cart. 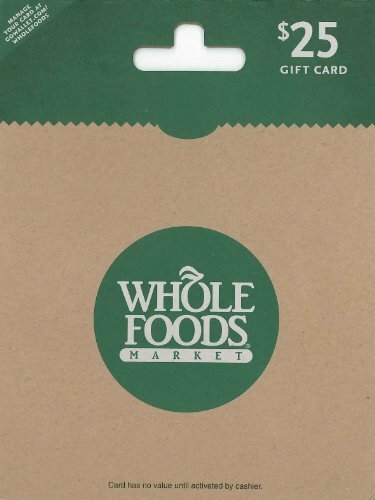 The lucky recipient of a Whole Foods Market gift card can buy anything from a few basics, to a cartload of indulgences. No matter what they choose to buy, you can rest assured your loved ones will be delighted.